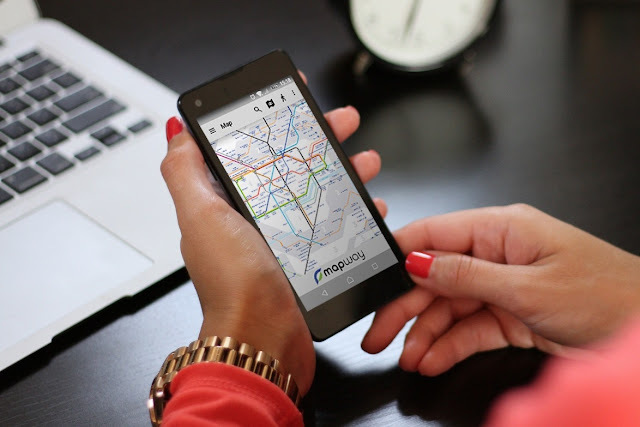 Top 5 Apps You Need To Get The Best Out Of London. When in London, whether you live here, or are visiting, you really do need a tube map app. While I can remember my most common routes and what lines go out of what stations, if I needed to get from Hackney Wick to High Street Kensington, I wouldn’t have a clue off the top of my head. I’ve found Tubemap by Mapway to be so useful. It’s not only a route planner, but they also have a live departures and status section. So I know if my tube is delayed, or what time the train for a certain branch of the central line is coming in at. It’s the little things though that make traveling around London so much more efficient. Which carriage should you get on to be closest to the exit? It’ll tell you. Trust me in rush hour, you want that feature! It’s also really good for telling you what stations are pushchair friendly- as in with lifts, and those not so friendly- those with hundreds of steps. According to the founders, 10% of iPhones in London have YPlan installed on it. That’s some serious usage. 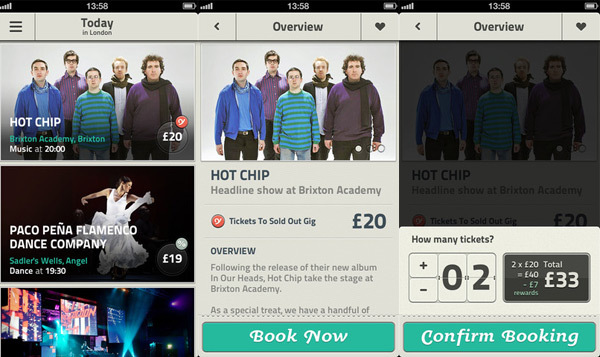 But it’s not surprisingly really as the app will organise your night out with very short notice. If like me you find yourself bored one night and nothing on telly will do, it’d perfect for finding something. You set your location and the distance you are prepared to travel, then the app will tell you about 10 events happening that night. The events can be from big events, to quirky things you probably would never find on your own. What’s good is that they also work with event companies to offer discounts and special deals because you are booking so last minute. I mean no organiser wants empty seats so will offer you discounts to tempt you off your sofa. Another last minute app is Uncover. Some of London’s most famed restaurants are ridiculous to get into. I’ve still never been to Duck and Waffle as frankly I don’t want to be eating dinner at 11pm. Do you remember when Chiltern Firehouse opened? You could wait 6 months for a table. Well frankly I don’t want to plan 6 months ahead to where I’m going to eat dinner. 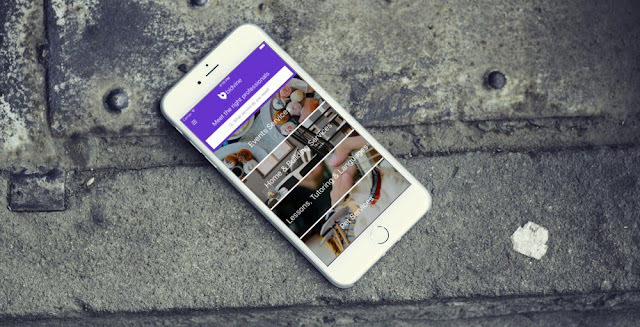 Uncover is a genius app where restaurants tell Uncover about any last minute cancellations and Uncover put these on the app, so you can snag a last minute table to prime restaurants. I’m talking the likes of prime 8pm slots at Kitty Fishers or Alain Ducasse. So if you have a last minute date you want to impress, or just fancy treating yourself then you can’t really go wrong. London is so overwhelmingly big, getting a local service can actually be really difficult. In the past I’ve needed a local cake maker, a cleaner and I tried and failed to find a French teacher (I still will learn, I promise!) but sometimes I just have no idea where to begin Googling. I loved it in Warrington as we had this little monthly booklet that was sent to every house with adverts from local business and fun little articles, which made things more personal. Which is why Bidvine has come to my attention. Basically on the app, you submit a request for what you need and you’ll receive up to five quotes from local professionals in your area, and choose the best for you based on their reviews, qualifications and price. It’s not just household DIY, there are also local photographers, personal trainers and yoga teachers on there and around 250 other categories. I like it as it brings back a more personal local feel to London and I’m all for supporting local business owners. There is always controversy over cab apps in London. “You are killing the Black Cab Trade” “Uber is unethical” blah blah blah. However I really like Hailo for this reason, the convenience of an app to get cabs but those cabs being Black Cabs. 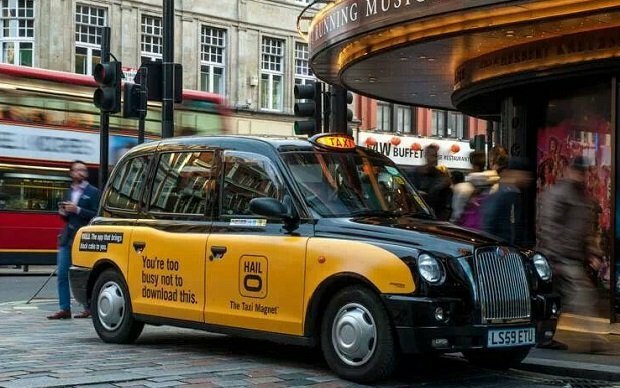 It’s very much like Uber in that it uses your location and you digitally hail a black cab to you and it tells you how long it will be, which is so handy when you are in a part of London where Black Cabs are unlikely to just pass by. Yes it’s Black Cab prices and not Uber prices, but then you are getting the Black Cab service of them having ‘The Knowledge’ and actually knowing where they are going (I had one Uber driver take me to a random street and say we’d arrived at Euston station. You think you’d realise Euston was not some random shop…) Plus you can also pay on the app, which let’s be honest is half the reason why I don’t flag down cabs on the street. Who carries cash anymore? Hope you find these useful, and if you have any more suggestions, just let me know in the comments below.